Surrounded by lush pine forests, the serene hamlet of Mechuka is located in a picturesque location in the state of Arunachal Pradesh. It is home to the stunning Mechuka Valley, also called Menchukha, nestled in the West Siang district, close to the Indo-China border. Needless to say, the serene valley is a haven for nature lovers and adventurers. 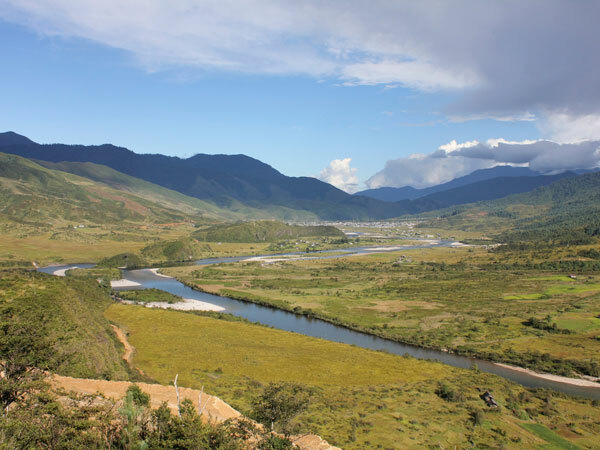 The Mechuka Valley in Arunachal Pradesh sits at an altitude of 6000 ft and is blessed with abundant beauty. River Siyom, also spelled as Siom, flows through the valley, adding to the beauty of the surreal landscape. The Siom river is locally referred to as Yargyapchu river. In local parlance, the name Menchukha means medicinal snow water as it is believed that the melted snow water from the mountain peaks has medicinal values. The name is derived from three separate words "men", "chu" and "kha", which in local language mean, "medicinal", "water" and "snow" respectively. This surreal valley is one of those places on earth that define raw and untouched natural beauty. Its captivating landscape, glittering lakes, snow-capped mountains and verdant sloping hills will leave you speechless. Mechuka is home to many exotic, aboriginal tribes, with people of the Ramo, Memba, Bokar, Tagin and Libo tribes as the main habitants. Apart from the spectacular beauty, travellers can visit the 400-year-old Samten Yongcha Monastery. Dedicated to the Mahayana sect of Buddhism, the monastery is perched on a hilltop in the westernmost region of Mechuka. The place is not only known for its religious significance but also historical. Numerous ancient statues found here speak of the rich history and culture of this serene valley. Mechuka is located 180 km northwest of Aalo - another popular destination in Arunachal Pradesh. The closest airport is Assam's Lilabari Airport, which is located 490 km away from Mechuka. Silapathar in Assam is the nearest railhead, at a distance of 390 km. As there is no railway station or airport in and around, the best way to reach Mechuka, therefore, is via a roadway. Mechuka is well connected via shared public transport with Aalo, also called Along, which is a district headquarter. The best time to visit Mechuka would be the post-monsoon and winter months between October and March. Winters are cold and often accompanied with snowfall, and summers are pleasantly cool. The monsoons in the northeast are heavy and unpredictable, and given the fact that the only way to reach is via roadways, it is better to avoid travelling to Mechuka during monsoons to avoid any mishaps. Note: Indian citizens need an Inner Line Permit to visit Arunachal Pradesh. The same can be obtained from Arunachal Bhawan in Delhi or the ILP office in Guwahati, Assam.